Whether you do it weekly or monthly Family Movie Night can become one of you and your children’s favorite activities. Sweet and fun nights cuddled up on the couch watching family favorites, animated classics, new movies you have never seen before. Making memories and sharing laughs over bowls of salty buttery popcorn. 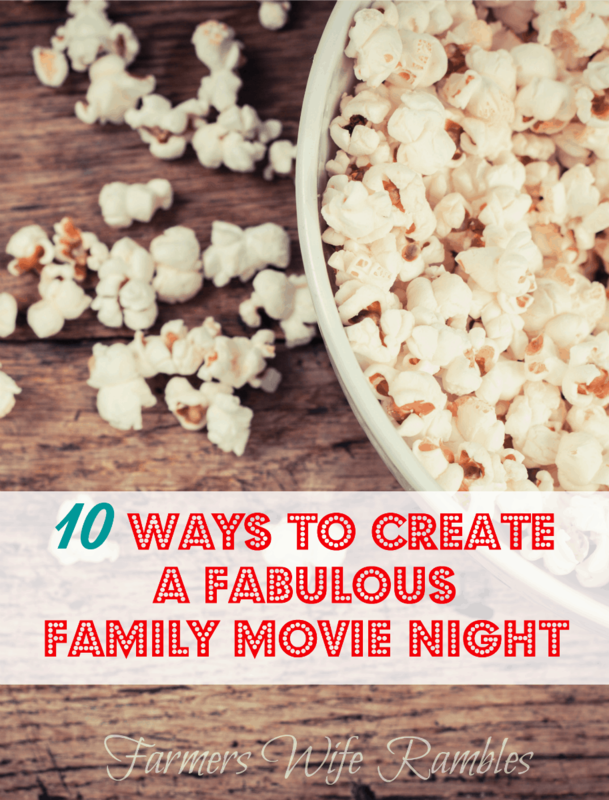 Here are 10 ways to help make sure that Family Movie Nights are memorable as well as some good family movies to get you started with. Decorate- You can add simple decor to the room or dinner table either inexpensively with a few items picked up from the dollar store or for free using items borrowed from the kids toy box. Chances are if you have chosen Toy Story for family movie night that there are a few toys along that theme lurking in the kids room or leftover perhaps from a birthday party. Toss stuffed friends on the couch for snuggling during the movie, place action figures on the table for a fun themed meal. Themed snacks- Watching Finding Nemo? Be sure to pick up snacks like goldfish shaped crackers, fish gummies, or use a fish-shaped cookie cutter to cut out fun pizza or sandwich shaped treats. Maybe you are going to watch Dumbo..you will definitely want to set out a bowl of peanuts as a snack! Dinner- Why not let dinner be a part of the fun family celebration? You can either make it themed with the movie like serving fish sticks for Finding Nemo (that may be kind of morbid but my kids are not bothered by it) or choose foods that would have been served during that time period or in that location- French food for Ratatouille! Give everyone a turn- Allow everyone to have a chance to choose the movie as well as the menu and activities for your family night. Set up a schedule and allow children (and even dad) to choose a family movie on their designated night then write up a simple menu- they can be in charge of preparing as much of it as it is safe to do as well. Kids will really take pride in doing a good job on their movie night you can bet. Invite your friends- While we love the time to decompress with just our family it can be fun to invite a few neighbors and friends to make the party bigger! Provide lots of comfy pillows, cushions, blankets for laying on the floor or couch. Make it pot luck and ask everyone to bring a themed dish or snack. Activities- Before or after the movie get moving with a few games indoors and out that go along with your choice. If you do it before the movie it will help get the wiggles out and burn off a little energy first so that everyone can sit and enjoy the movie, even your wiggliest wiggle worm. For longer movies you might even consider an “intermission” break where you play a quick game or two. Crafts- Make up a craft or two before the big screening. One of my kids loves crafts, the other well “meh..” but usually if it is attached to a movie we just watched or are about to watch they are both ready to dive in. A puppet that can be played with while watching, a picture they drew of a main character from the movie to be used as decorations, or a play dough creation just bring it more to life. Think out of the box- Reach back into your childhood and pull out classic movies-animated or not to watch. You will be surprised how many good movies stand the test of time and will become loved by your children as much as they new CGI movies are. My son is currently into 80’s movies like Back to the Future and Ghostbusters. 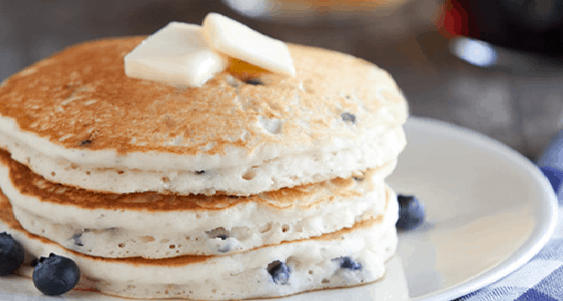 Keep it simple- Don’t stress, your kids are going to adore a special family time set aside! If they are not as into the crafts and activities as much as you are, that’s okay, this is just for fun. Maybe the craft you have planned leads to something else unrelated, don’t worry about it! Just go with it momma and enjoy the time together. Looking for a great movie suggestion or two to get you started? Here are 12 to begin with- these are some classic favorites that make for a great family movie night. Coming up I am going to turn 5 of these movies listed below into a post complete with ideas for food, activities, and crafts to inspire you further.